Chelsea fans are all saying the same thing after our win over PAOK. Blues fans believe that Hudson-Odoi needs to start ahead of Willian. Do you agree with them, Blues? Let us know what you think @TalkChelsea. 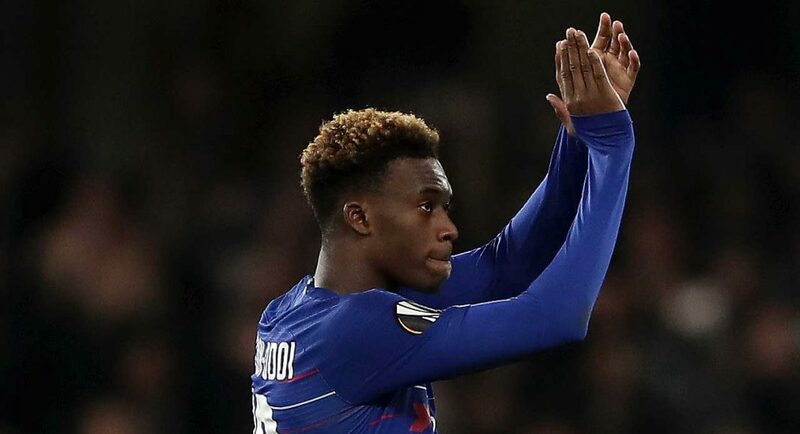 Chelsea fans are all saying the same thing after Chelsea’s 4-0 win over PAOK – Callum Hudson-Odoi needs to start, ahead of Willian. Hudson-Odoi was arguably our best player throughout pre-season, he even started in the Community Shield against Manchester City. However, once all of our players returned from the World Cup, he fell down the pecking order. Maurizio Sarri has found no room for him in his thinking so far this term, leaving Hudson-Odoi anxiously waiting for his opportunity. He was finally given it as Chelsea took on PAOK in the Europa League, and boy did he take advantage. One start, one goal, one assist. That’s how Hudson-Odoi’s season starts read after our 4-0 win over the Greek side, and Chelsea fans are incredibly impressed with what they saw from the 18-year-old. Many have taken to Twitter to share their views on our Callum, and their opinions appear to be cohesive. He needs to start, and Willian needs to go! Have a look at this. Anyway really enjoyed CHO tonight. I’m so sick to death of Willian I just hope this speeds up his exit so we can all move on and forget the last 4 years. Callum Hudson Odoi should always start ahead of Willian. That’s all. Hudson Odoi has to start ahead of Willian now even the rival fans can see it now, yes he will have bad moments even few bad games as well but he won’t play against Chelsea like Willian does but instead will play for us.